The stresses of life are inevitable even for the healthiest people, although responses to difficult and challenging situations and circumstances vary considerably from person to person. When someone has a history of substance or alcohol abuse, stressors often trigger addictive behavior that perpetuates the disease leading to a further decline into substance abuse or alcoholism. Treatment for drug addiction includes the essential component of stress management to enable people who have used drugs or alcohol to cope with challenging situations to find other ways to cope with whatever life in recovery throws at them. By addressing the challenges stress presents to a person in recovery from addiction, it is possible to prevent relapse and boost an effective life of sobriety. Although stress is a common factor in everyone’s life, some have difficulty reacting in a healthy way due to addiction issues. It is not uncommon for addiction to start when someone seeks to escape from a reality they find uncomfortable until their bodies need drugs or alcohol routinely, rather than as a coping aid. It isn’t only drugs and alcohol that provide an escape from stress; gambling, unhealthy sexual behavior, food and even work can become the focus of addiction in a person with a propensity for the disease. The main reason there is a strong relationship between stress and alcohol or drug abuse is that it also affects the brain along with almost every major system in the body. 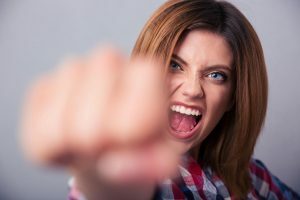 Tension-filled situations prompt our bodies to release hormones that are designed to provide a reaction to danger in a ‘fight or flight’ response. During stressful moments, veins in the skin contract so that more blood is sent to major muscles, prepping our bodies for a fight. This is an entirely natural physiological reaction we have when we feel threatened but when this reaction is out of control and in response to minor upsets; it can take a serious toll on the body. Often self-medication with drugs or drink is seen as the only way to alleviate the body’s response to stress, particularly if the perceived ‘threat’ is actually insignificant. Addiction treatment centers provide positive reinforcement for a life in sobriety and that means learning how to deal with the inevitable daily stresses and strains. Effective stress management can be achieved through making healthy lifestyle changes and incorporating new practices that are focused on in drug and alcohol treatment. The first 90 days of recovery are particularly crucial as the risk of relapse is highest during this time. Although it’s essential to keep busy and active to prevent the downtime that can lead to creeping negativity or anxiety, too much on the schedule can have the same effect, through unrealistic goals being set that are never achieved. Drawing up a realistic to-do list is a good way of scheduling each day to ensure triggers for relapse are prevented. Individual or group therapy is essential to allow someone in recovery from addiction the opportunity to express feelings of frustration and anxiety. Being open is something that is encouraged in alcohol addiction treatment centers and talking amongst others with similar issues to face can be extremely helpful in the recovery process. Expressing feelings clearly and freely reduces the possibility of bottling up emotions and stress, which can be a significant threat to good health and well-being. When attending a program at an alcohol addiction treatment center, identifying the stresses that are most likely to affect an individual after treatment is important. By knowing what it is that particularly affects an individual, whether that be a high-pressure job or difficult relationship circumstances, the right coping mechanisms can be developed on a case-by-case basis. Something that triggers a stress response in one person may have no effect on another, making stress management a very personal issue. Getting sufficient sleep of good quality is particularly beneficial to the health of recovering addicts. Often, while in the grip of addiction, people may have a tendency to use drugs or alcohol to help them sleep which can result in an unhealthy relationship with one of the most natural processes of the body. To feel the full benefits of sleep a solid seven to eight hours of quality shut-eye each night can really work wonders on the mind, body, and spirit and can be a vital boost to recovery from addiction. Yoga is a surprisingly demanding exercise form that works well with meditation. Most yoga sessions concentrate on breathing and stretching in groups of movements and postures and then switch to a meditation session at the end to recuperate. The main benefit of yoga and meditation to a recovering addict is that it focuses the mind on breathing rather than its internal dialogue which can be a significant support to avoid relapse. Learning how to concentrate totally on the simple process of breathing out and breathing in can free the mind from cravings and negativity by promoting a better understanding through mindfulness. His and Her Houses offers industry leading Addiction treatment programs. We were founded in 1994 and we base our programs on five key principles: commitment, honesty, integrity, respect, and service. These five principles guide us in all that we do and all the care we provide. Contact us today to see how we can help you or your love one at (888) 376-7268.